After having installed your Commercial Edition, you can install the APK Generator. It’s just about installing Java on your server. This section is for owners of a dedicated server or a VPS only with a root access, that’s why having a root access is mandatory for the Platform and the Multi-Apps Editions. Shared server owners will not be able to install the APK Generator as they don’t have access to server configuration. The install has to be done through a SSH connection through a root access. 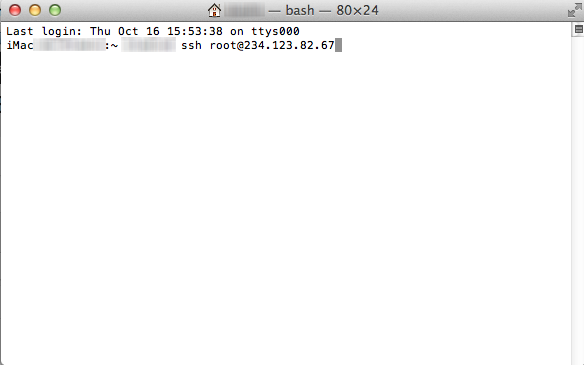 If you don’t know if you have the SSH root access ask for it to your hosting provider. The access must be root or “sudo”, and not a user access. Without a root access it will not be possible to install Java. To connect in SSH, you have to download and install a SSH client. For windows users, you can get Putty, or mRemoteNG. For Mac users you can use the Terminal application that is already installed on your Mac (on your computer, Applications > Utilities > Terminal). Open the SSH client, and connect with your root access. If you use a window client like Putty or mRemoteNG, just fill out with your info and choose SSH2, then connect to your server. If you are on Mac, open the Terminal, and type this command: “ssh username@domain”, replace “username” by the root username and “domain” by the main domain of your hosting. You can also replace “domain” by the server IP, in this case it would be “ssh username@234.123.43.98” for example. Then it will ask for your password, just enter the root password and enter. It’s ok you are connected in SSH to your server with root access. For GoDaddy clients, in their process they tell to connect first with your admin access, and then to authorize these access to connect as root with the “su -” command (see their article). But this command doesn’t work and it’s not possible to get root access from your admin access. Tell GoDaddy that this “su -” command doesn’t work (“Command not found”), and ask them to create these root access for you or to enable this “su -” command. In all cases, if you haven’t SSH root access, ask your provider to provide ones. The Android SDK is automatically installed. You don’t have to do anything regarding the Android SDK. Now you are done. To check if your APK generator works, login as a client on your platform, and create a test app. Then go in your backoffice panel, click on manage > applications, open the details of this app, and click on “generate APK”, and refresh the page after a few minutes (you should also have received an email once your APK is generated). If there is a link download a .apk file that means it works, if not that means it’s not correctly installed. You can open a support ticket in this case.